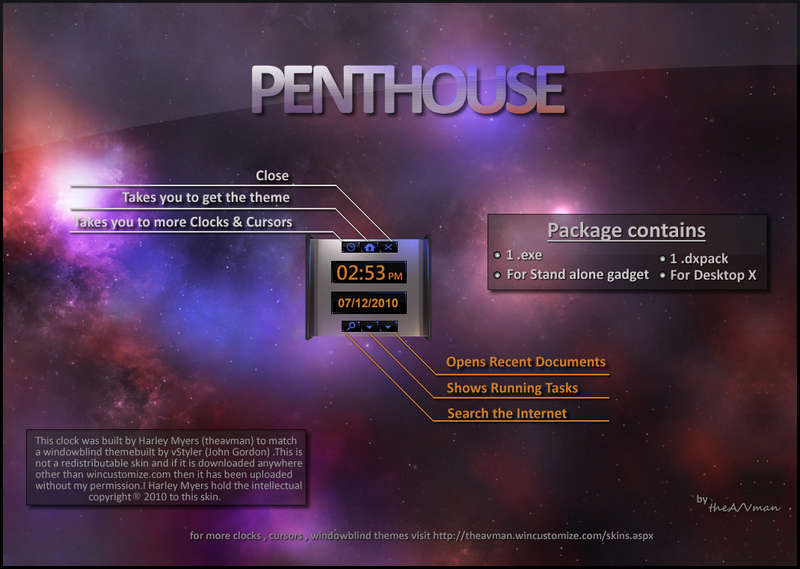 This clock was built to go with vStyler's top shelf windowblinds theme Penthouse.This is a cool looking little clock the does alot as well it contains a search engine link ,Displays recent documents , running tasks. Avman,,,,,,THIS IS WICKED SIMPLE AWESOMELY COOL !!! WOW !! THANK YOU, THANK YOU !! Thanks AVMAN for another fine work. I am still using the cursor since the day it came out.